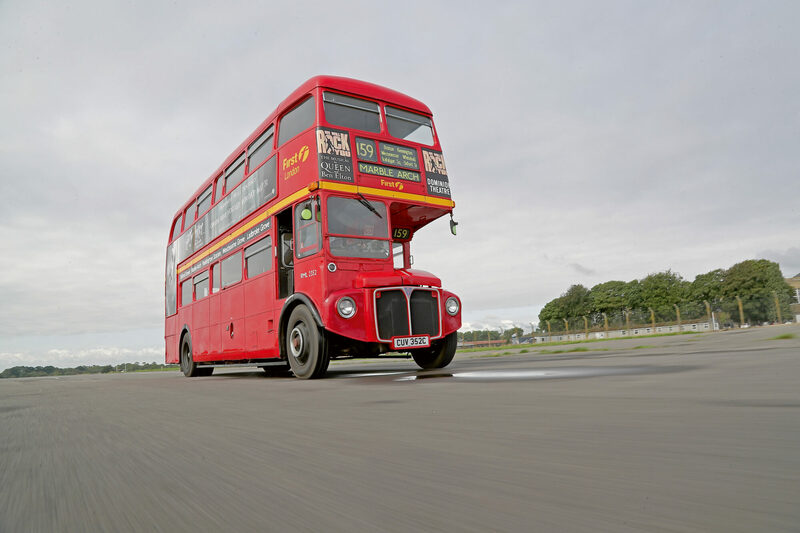 It’s one of the great British icons, but what is it like to own and live with a London bus? Classic vehicle enthusiasts are notorious for having drunken late-night eBay binges and ending up with something barmy like a Sherman tank or an obscure Russian microcar for which parts are entirely obsolete. 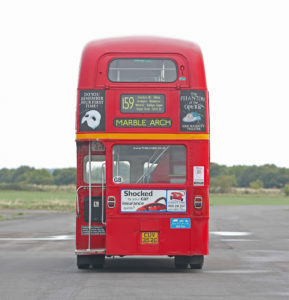 Or maybe a Routemaster bus. But not Jeremy Clarke, because when he bought his 1965 AEC Routemaster he was completely sober. Not only that, but he planned the purchase of his Routemaster bus meticulously, so it was hardly bought on a whim. Which begs the question: how on Earth did such a purchase come about? Says Jeremy: “In 2004 I went on a classic car run around Spain, in my Triumph TR6, with a friend called Mark. We caught the ferry to Santander then took in the roads around northern Spain, enjoying the experience immensely. On the last night there was a dinner, during which the conversation turned to what classic we should use for the 2005 outing, which would be around northern France and Belgium. “I had recently read an article in The Daily Telegraph by Brian Laban, comparing classic buses with their modern counterparts; he had found that the older vehicles were incredibly easy to drive. Included in his story was information about how you could buy your own classic bus and when I happened to find myself sitting next to him at a dinner soon after, that sealed it. I mentioned that I was thinking of buying a Routemaster and Brian reinforced just how easy they are to drive. But, of course, it’s not just about the ease of driving that matters ñ there’s also the ease of ownership to be considered. The age of these buses means you don’t really want to leave them outside, because they deteriorate very quickly ñ but finding under-cover storage for a vehicle as large as the Routemaster isn’t an easy proposition. However, it just so happened that I’d moved to a new house recently and the new property came with a barn that was just about tall enough to squeeze in a double-decker bus. 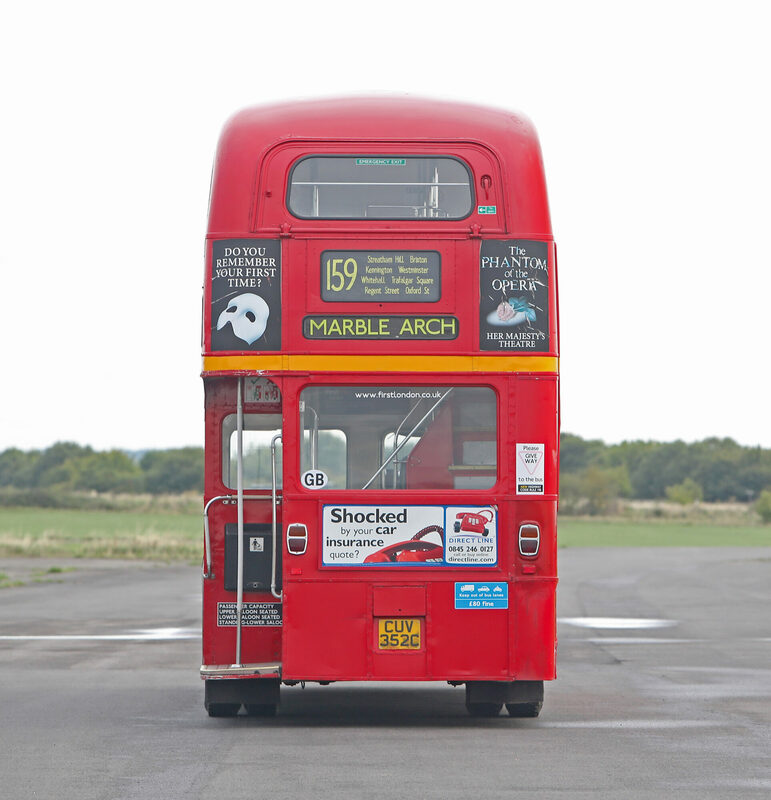 “At the time, London Transport was selling off its Routemasters very cheaply, so Mark and I talked about the possibility of doing the next year’s trip in one. I asked the event organiser if he could set up a route with enough clearance to get a bus round (14′ 6″) and when he responded positively, that was it ñ the hunt was on”. With the Routemaster entering its final days as a staple of London’s transport network, there were plenty to choose from; one route at a time switched from the old buses to new ones and as each route was shut down, a raft of buses entered the market ready for enthusiasts to snap them up. All sales were dealt with by a garage called Ensign, based in Purfleet in Essex, which kept 30 to 40 buses in stock at any one time, with buyers able to pick out their ideal Routemaster for just a few thousand pounds. You had to have your wits about you though, because as some buses were decommissioned their drivers and conductors removed parts for souvenirs. There was also a cache of Routemasters being stored in Carlisle when it flooded, wreaking havoc. Says Jeremy: “We looked at one bus which had become submerged and there was still water in the headlights. Everything below this would have been under water during the floods and that wouldn’t have done the engine, transmission or lower structure of the bus any good. The chances are that somebody bought these buses at some point, but Mark and I looked elsewhere”. Having walked away from that Routemaster, Jeremy and Mark homed in on RML 2352, which was a bit tatty, but came with a stash of spare parts ñ back then there was no shortage of bits available at very keen prices. Having singled out RML 2352 for purchase, a test drive revealed a gearbox fault, so another transmission was fitted and the two took delivery of their new steed for the trip to Belgium. Jeremy continues: “We went to collect the bus and drove it home with some trepidation; there’s always this thought when buying something so big that maybe it wasn’t such a good idea. But it’s been a great buy, even if it’s not as usable as a more conventional classic. It got us to Belgium and back without a hitch, but you can’t just pile all of your friends aboard and drive off into the sunset, because a standard driving licence limits you to just eight passengers, which isn’t many considering the capacity of the bus is 77. Carry more than eight people and you must have a Public Service Licence, which typically costs around £1,000 by the time you’ve done the training. “In the time that I’ve owned the Routemaster, I’ve had quite a few requests to borrow it, usually for weddings ñ people have this romantic notion of getting everybody to the church or reception in it. But to use the bus commercially, you have to pay to tax it as a Public Service Vehicle; as a historic vehicle the road tax is free. What people also don’t consider is if you’ve got a party of 60 people to transport, what happens if the bus breaks down? You then need a back-up bus on standby if the whole thing isn’t to turn into an absolute disaster”. With fuel consumption of around 10mpg and a range of 210 miles or so, you might get twitchy at the prospect of hefty fuel costs, but in reality, few of these buses cover many miles each year, and increases in value have offset the running costs in most cases. Jeremy adds: “The biggest problems in terms of ownership and usability are the size, as they need to be garaged. Height restrictions en route can also be tricky, so you have to plan your routes with care. But it’s the lack of performance that restricts use in the main, because a 40mph top speed means it takes ages to get anywhere ñ the trip back from Belgium took forever. The rest of the group got off the ferry and shot off onto the motorway, and I had to plod along at 40mph for hour after hour. At that point the novelty had worn off”. Providing that 40mph top speed is an 8.3-litre Cummins six-cylinder diesel engine, which is as unstressed as they come. Capable of racking up hundreds of thousands of miles without murmur, it’s one of three different types of replacement engine fitted to Routemasters. The original powerplant was AEC’s own, but by the early 1990s these were all getting very tired, so London Transport decided it was time to set up a programme to extend the life of its Routemasters by fitting replacement engines. Around 20 companies tendered for the job to supply these powerplants and three got a contract: Scania, Cummins and Iveco. Of the three, it’s the Scania engines that are seen as the pick of the bunch, followed by Cummins and then Iveco; RML 2352 features a Cummins unit fitted in 1991. How many miles this bus has clocked up (and any other Routemaster for that matter) is pure guesswork. The Accutrak odometer that’s fitted to the rear hub has notched up over 200,000 miles so far, but this was fitted to the bus not that long before it was taken out of service, so the real mileage is undoubtedly much, much higher. RML 2352 was supplied new in 1965 and plied its trade on the leafy lanes of Surrey, as it was based in Godstone. Originally painted green, it got a colour change to red in 1980 when it was bought by London Transport for use in the Capital. Having been completely overhauled in 1973, it had another restoration in 1980 when the body was separated from the subframes, the engine and gearbox were removed, and everything was refurbished. This was standard procedure for these working vehicles, and as a result the major components that came out of a bus weren’t necessarily reunited when it went back out on the road ñ it really was a case of mix and match. 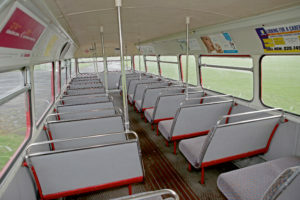 Last used for carrying passengers in 2003, by which point it was owned by First Bus, RML 2352 was all set to be sold to a Slovakian buyer in 2004. But the deal fell through and instead it was sold to Jeremy and Mark in 2005. Now 53 years old, RML 2352 hasn’t covered a lot of miles since 2005 as it gets just a few outings each year ñ so the chances of it needing any major mechanical work in the next 53 years is marginal. If only all classics were so tough.